Even if your budget or floorplan does not allow you to incorporate all of these fantastic master bathroom ideas into your own space, you can utilize individual elements to create a very similar look. For example, revamp an existing white paneled vanity with a neutral tiled wall or backsplash to bring a similar luxury feel as their granite details.Great bathroom ideas can transform an outdated space into a fabulous at-home retreat. 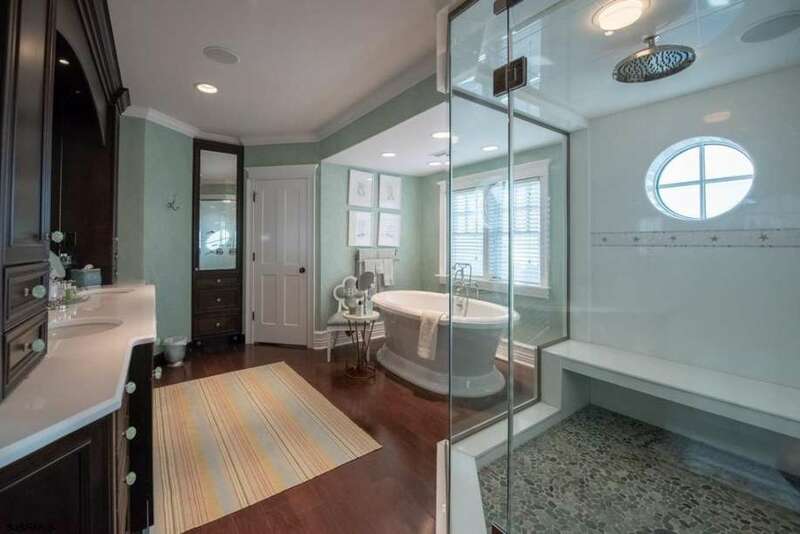 This bathroom renovation has it all, a beautiful double vanity with plenty of storage, huge glass enclosed walk in shower, and relaxing Jacuzzi tub overlooking a large picture window. They chose beautiful high-end finishes such as granite and marble floors, tiling and countertops, rich paneled walls and gorgeous brass fixtures popular in any bathroom design gallery. This beautiful master suite has been one of our favorite bathroom remodel projects this year. Working in small spaces can be challenging. You want to bring great style and design, but you have to work within the confines of a cramped floorplan. This space was no different. 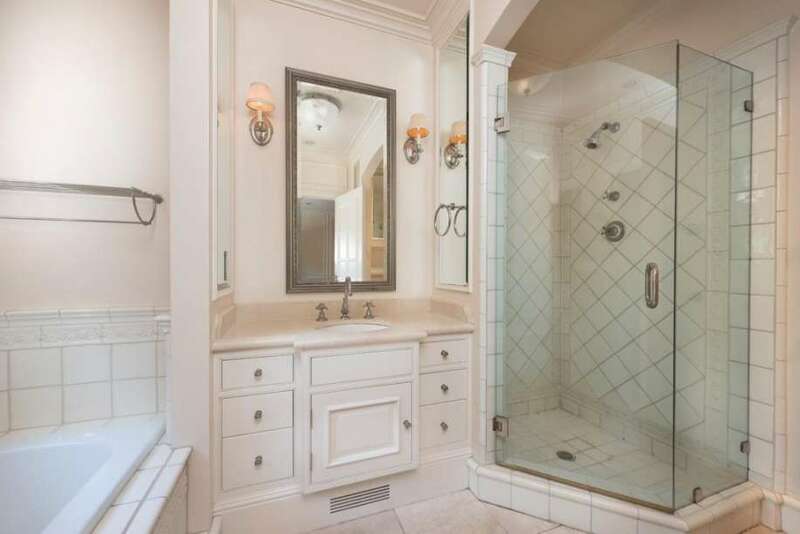 We were given limited square footage and a long list of wants and needs including a soaking tub, glass enclosed shower and his and hers vanities. We were determined to fill all of these requests so we got creative with our small bathroom ideas. Since we had so much to incorporate, we decided on a very neutral color palette to keep the room feeling bright and open rather than dark and cluttered. If you are searching for tile ideas for luxury bathrooms, look no further because we can supply you with a variety of designs and plans to make the most out of your available space and budget! Choosing the perfect bathroom wall tile, shower material, and floor textile can be even more important. Stay away from darker materials, such as black marble, and opt for larger pieces to make the room seem bigger. Popular bathroom ideas in 2018 include putting in new tile yourself is a good way to save money, however if you do not know how to install tile, one very easy and inexpensive. Plus, learning how to paint tile is easy! Just clean, sand, wipe away dust and begin! Some popular bathroom designs you can use to paint tile include humbling hues of pale yellows and greens or simple, quiet shades of grey and blue. 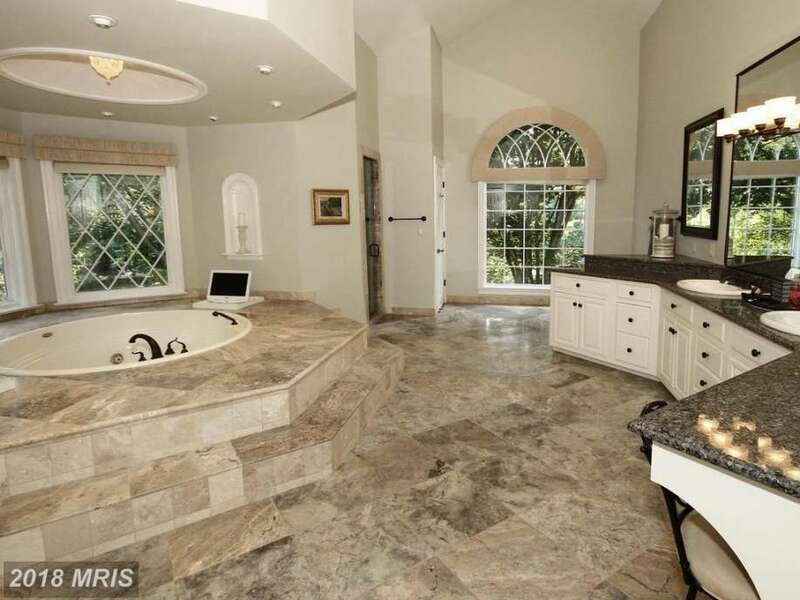 If you are looking for unique and unexpected master bathroom designs, look no further than this fantastic home. Some might think that the eclectic mix of styles is too random and does not work together; but, I think that the combination is a fun twist on your typical bathroom decor. So many people think that you have to pick one or two bathroom remodel ideas and stick with them, but I think that the best designs result from a compilation of several styles and elements. For example, this room features a number of traditional elements such as the rich panelled vanity, dark wood floors, white soaking tub and antique pieces scattered throughout. There is nothing I love more than contemporary bathrooms featuring a muted neutral color palette set against creamy white cabinetry. Too often bathroom ideas incorporate bold color schemes and harsh metal accents. 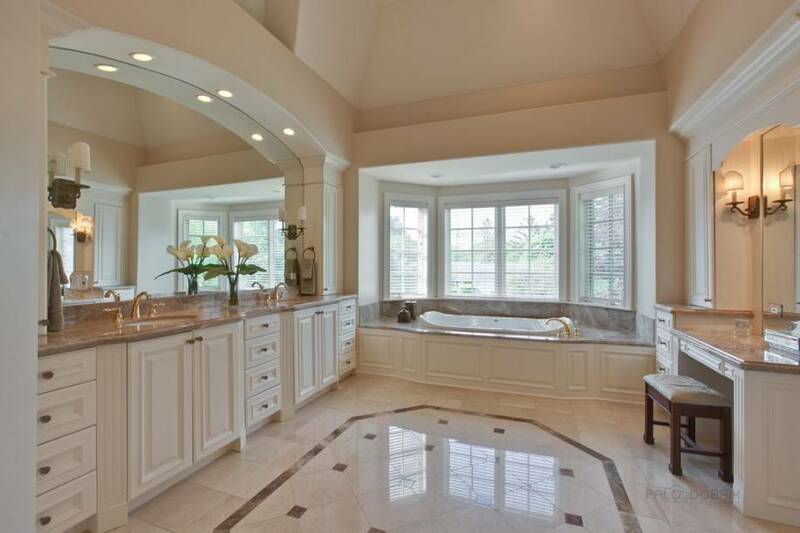 I want my master bath to be a tranquil retreat away from the stresses of the day. My dream bathroom incorporates simple bathroom tile ides that bring an understated elegance to the space. I love the neutral granite tile in this master bathroom because it has subtle pops of color without being too bold and distracting. The white paneled cabinets were the perfect choice to pair with the countertops and flooring because it continues the neutral color palette and magnifies the traditional feel of the space. Lighting and new bathroom decor ideas can make a room seem more open, it is essential that proper lighting plays a key role in any of your small bathroom decorating ideas. Another important factor when selecting bathroom styles and matching vanities for is the amount of storage space that this piece of furniture will supply. Leaving toiletries, bathroom appliances, and other items out on counters or on the floor can make the room appear cluttered and unorganized. However, making use of small bathroom ideas and new storage options, such as over-the-toilet cabinets or vanities with multiple drawers, can help you make the most out of your space.